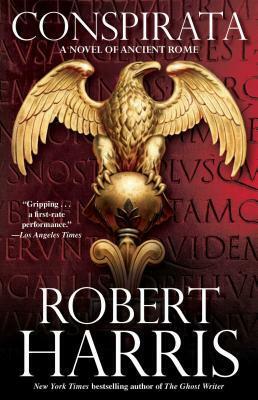 This is the second in Robert Harris’ trilogy of novels about ancient Rome and the life and times of Marcus Tullius Cicero. The first in the series was Imperium. Conspirata is much darker. One reviewer used the phrase, “Politics as blood sport.” That is an apt description and we see Cicero politically wrestling with the likes of Pompey, Crassus, and Julius Caesar. Painful to watch are the details of Rome’s steady march away from an admittedly imperfect republic to an outright dictatorship. Harris portrays this transformation as the outcome of an inevitable clash between the deterioration of a rotten system that feeds on inequality and military strength as the base for politics, and the deadly machinations of power-hungry and ruthless politicians. Harris portrays a “dog eat dog” world. Cicero and Rome both suffer the consequences.